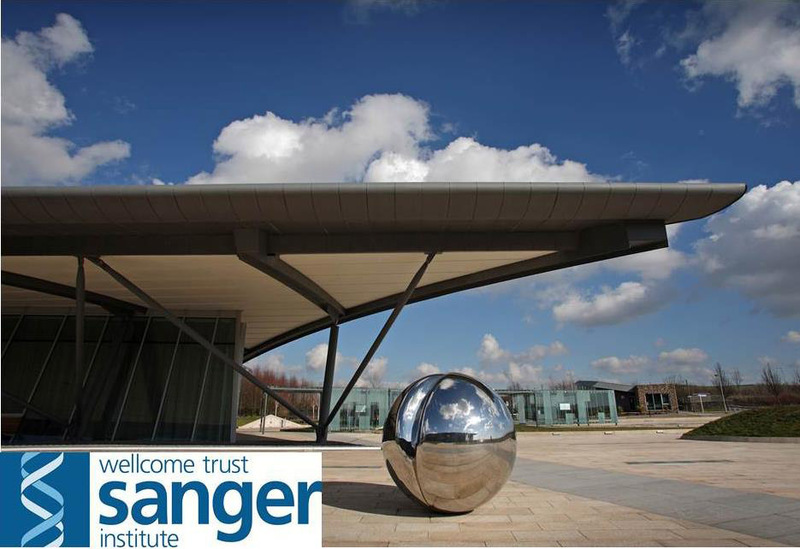 Four of the Wellcome Trust Sanger Institute researchers have made it to the Thomson Reuters top 15 most influential scientific researchers of 2011. Professor Mike Stratton, Dr Andy Futreal, Dr Peter Campbell and Dr Panos Deloukas, according to citations tracked during 2011, recorded some of the highest numbers of “Hot Papers” published over the preceding two years. On 12 April 2012, the Intellectual Property & Science business of Thomson Reuters announced The Hottest Research of 2011, a ranking of the most influential scientific researchers and research papers of the year by Science Watch®, its open Web resource for science metrics and analysis. This year’s group of 15 Hottest Researchers each contributed to at least 10 Hot Papers, covering key areas such as genetics, cardiology, epidemiology and cancer research. Professor Mike Stratton, Director of the Sanger Institute and joint head of the Cancer Genome project is the highest ranked of the Sanger Institute researchers at an impressive joint second position with 13 influential papers published over the past two years. Dr Andy Futreal, former head of Cancer Genomics at the Sanger Institute and current researcher at the MD Anderson Cancer Centre, is placed at third position with 12 influential papers. Dr Peter Campbell, current head of Cancer Genomics at the Sanger Institute, is positioned joint fourth in the rankings with 11 influential papers. Dr Futreal, Dr Campbell and Professor Stratton, as part of the Cancer Genomics team at the Sanger Institute in from 2009 to 2011, used the human genome sequence and high-throughput mutation detection techniques to identify cancer causing mutations and hence identify genes critical to the development of human cancers. Some of the team’s most significant findings since 2009 were the identification of a gene mutation associated with blood cancers and the discovery of chromosomal crisis where the genome can be shattered into hundreds of fragments in a single cellular catastrophe. Dr Panos Deloukas, whose research interest lies in coronary artery disease and myocardial infarction and leads the Genetics of Complex Traits in Humans Group, is ranked at joint fifth after contributing to 10 of the influential papers. Dr Deloukas heads the Sanger Institute’s contribution to the Wellcome Trust Case Control Consortium, a consortium that aims to understand patterns of human genome sequence variation. The Consortium has undertaken three experiments so far: genome wide association studies of seven complex human diseases of major public health importance such as bipolar disorder (BD), coronary artery disease (CAD) and Crohn’s disease (CD), a genome wide study for tuberculosis, and an association study for breast cancer, multiple sclerosis, ankylosing spondylitis, and autoimmune thyroid disease. The year’s Hottest Researchers were identified using citations that occurred during calendar year 2011 for papers published between 2009 and 2011. Aileen Sheehy is a science communicator in the Media, PR and Communications Team at the Sanger Institute.